Happy Friday friends!! I'm actually kind of sad this week is over already because that just means it's one week closer to the kids starting school :( And while they have been driving me bananas some days, I really will miss them so much once they're gone! Anyway, it's been a while since I've shared some friday favorites so here we go! 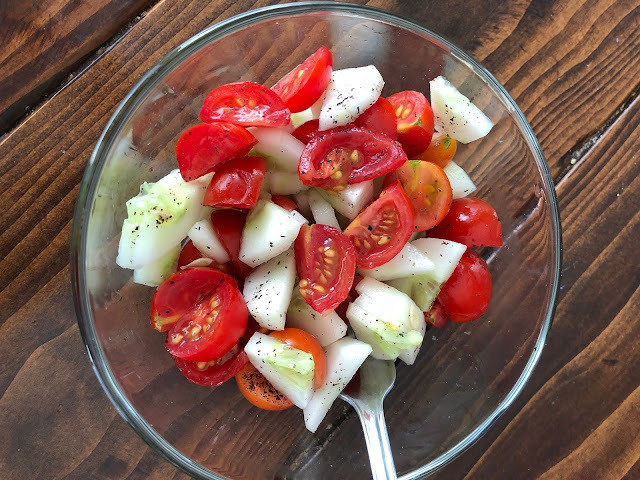 I am loving that we have fresh cucumbers, zucchini, squash, tomatoes and onions right in our yard! 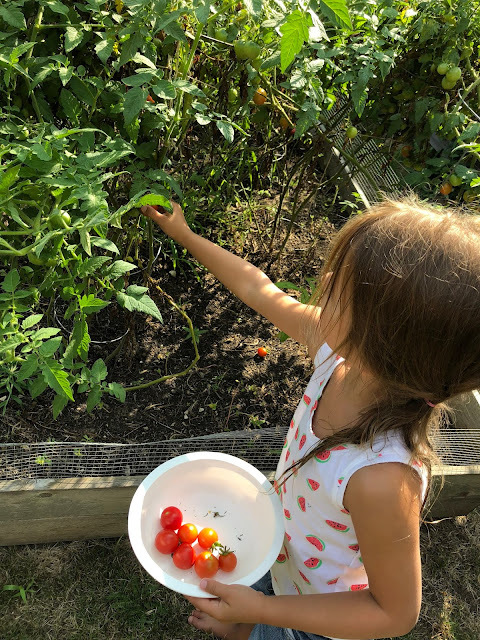 The best part of it really has to be the kids getting so excited when they see stuff ready to pick, I have the best little helpers! 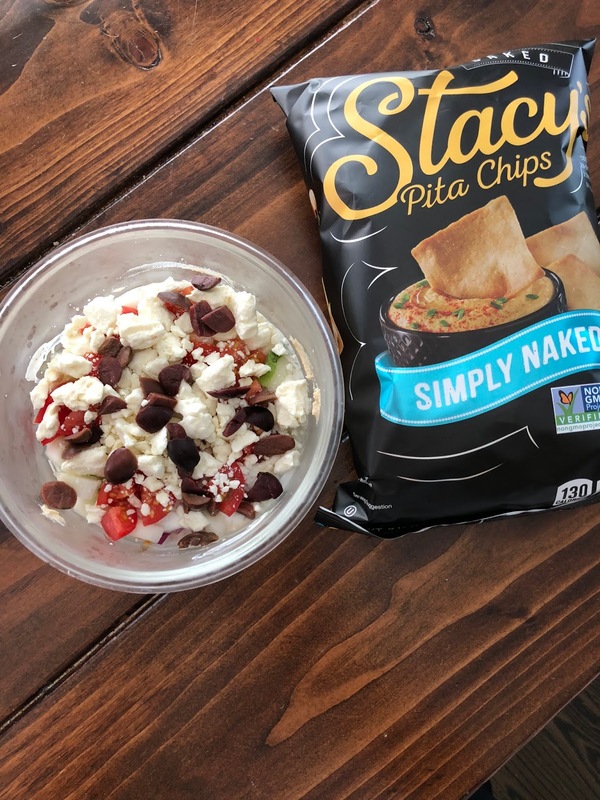 Omg I made this 7 layer Greek dip the other day and it was AMAZING! So good and pretty healthy too! 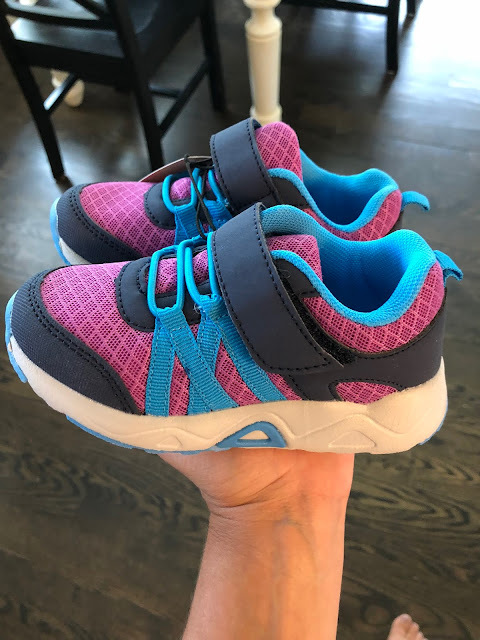 While I was shopping at Aldi the other day I came across these shoes for Avery - she was instantly in love with the colors and they are actually pretty decent quality for $11.99!! I was so happy to score these!! I saw this tee at Old Navy and totally want it!! I've held off for now but not sure how long that can last!! That's all I've got for today - we're off to enjoy our day and get the house cleaned because tonight our families are coming over to celebrate all 3 kids' birthdays. It's super low key, but still need a clean house! Have a fun celebration tonight! Love the tee, love that Brayden loves his tracker and yay for fresh garden veggies! That dip looks amaaaazing. I am about to start getting more creative with my lunches because I'm so tired of salad, so I'm adding that dip to the mix. My dad gave Solon his Fitbit last fall and I was super skeptical but Solon has loved and taken such great care of it all year. It literally motivates him to get more steps and he insisted Scott and I get one too so we can compete ;)! HA! We have only gotten on zucchinni from our garden so I am jealous, we can't figure out whats going on but several in our area are having the same problems! 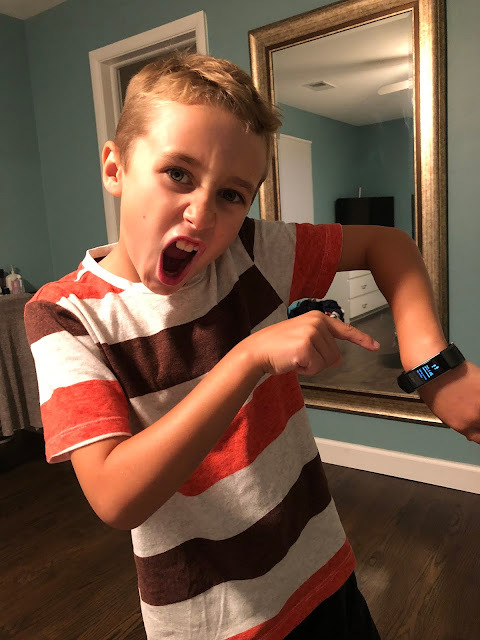 My kids all have fitbits! Dave's old band broke so he had it replaced and then I ordered a new band and let Simon use it. He has almost lost it a few times but the motivation is great! I NEED that greek dip! Ha! What a great list of favorites. I love the garden helpers. My kids have been wanting a fitness tracker. Happy Friday!